If you're having trouble accessing Dash, you may need to update your firewall settings. 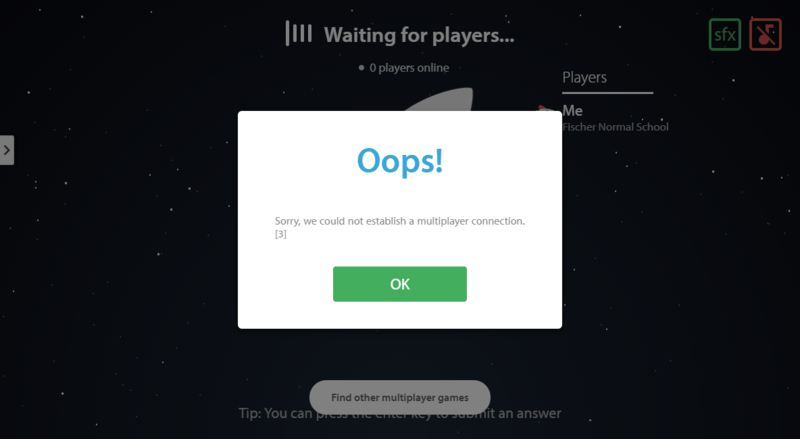 The most common issue people tend to have with being able to access Dash is being unable to establish a multiplayer connection. To fix this, try and check in with your school's IT team to make sure the following domain has been whitelisted: wss://sockets.educationperfect.com. For a full list of URLs that you may need to whitelist for Education Perfect, check out our guide. If you continue to have trouble with accessing Dash, don't hesitate to get in touch with us at support@educationperfect.com.